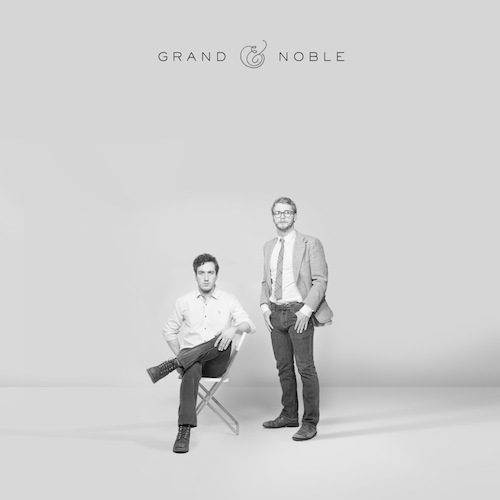 A sound that is reminiscent of sweet and smoky 70s rock that has been beautifully paired with a modern day flavor, Grand & Noble have carefully crafted a sound that many listeners will love. Johnathan Elling’s vocals are a delight and add richness to the already polished instruments. These guys spent some time on perfecting this album and it clearly shows. We stumble across a lot of great music but we were absolutely floored when we heard this album. In fact, there’s not a single song that we would skip. This is the music that your playlist has been lacking. Do yourself a favor and grab a copy of the album. They offer it at a name your price option but this is clearly worth your money. Jon Elling was kind enough to answer a few questions about his influences and the band, check out the interview. TheKnifeFight: Where did the name Grand & Noble originate? Jon Elling: We used to practice near the corner of Grand & Noble in Chicago and I just really loved the name. When you say it out loud it sounds so high-mind, almost comically, but in reality the intersection is in this historically scrappy Chicago neighborhood. You’ve got cement factories next to high-end Italian restaurants where the aldermen dine with god knows who. I’ve literally seen the valets place blue napkins over the license plates of the cars parked out front. Meanwhile, next door is a great organic grocer and a burger joint that’s been there for 40 years. TKF: Are there any bands/artists influenced you to become a musician yourself? J: Probably, but it’s all such a stew in my mind at this point that it’s hard to separate. I lived in L.A. until I was about 14, so I grew up on a steady diet of KROQ cutting-edge type stuff, but then I moved to northern Florida and all they had there was classic rock and country. TKF: Would you rather have a brand new $20 bill magically show up in your pocket every day or have every stoplight turn green for you before you had to stop completely? J: I’ll take the money. And a cab. TKF: How would you describe your music to a new listener? What song should they listen to first? J: I suppose we’re somewhere in that rootsy pop ball-park. There’s an old Violent Femmes song with the lyrics “Do you like american music? I like all kinds of music. But I like American music best”. I’ve always related to that. Delicate Boy shows our range pretty well, I think. TKF: What are your hobbies outside of writing/creating music? J: We’re starting to pop-up on the radar of a few labels so we’re figuring out how to best handle that. Elsewhere, we’re booking new shows for the fall.